A while back I had the chance to work with the company Zim’s on some amazing products that really helped my hubby with all of his body aches. You can read my first review here. I recently had the chance to work with the company once again and they were kind enough to send me three items to review. I received the Crack Crème Organic Aloe and Arnica with Hydrocortisone, Gel Acemannan Nature’s Purest Form of Aloe Vera and Arnica and Arnica Zim’s Max. The Zim's brand is dedicated to bringing you innovative naturally-based products that live up to their brand promise in every way. Their goal is to improve the lives of consumers with their brands that include over 25 products that are packed with the best of nature and range from skin care to pain relief gels. 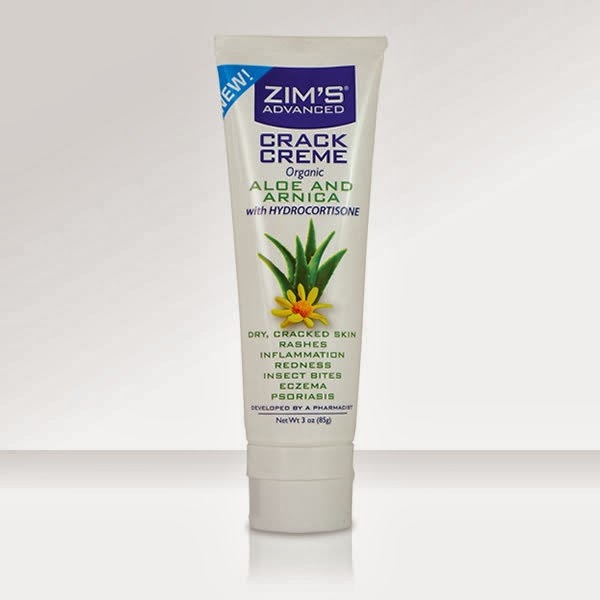 Zim's Advanced Crack Creme with Hydrocortisone $9.99 combines Arnica & Organic Aloe with Hydrocortisone. Temporarily relieves itching associated with minor skin irritations and rashes due to poison ivy, poison oak, sumac, insect bites, detergents, jewelry, cosmetics, soaps, seborrheic, and dermatitis. The Zim's Advanced Crack Creme with Hydrocortisone is amazing. I love that this product can be used for so many different skin irritations that can arise at any given moment. My kids seem to always get into something that will cause some sort of rash on their little bodies and next thing you know they are scratching like never before. It doesn’t help where they have sensitive skin. This time when they developed a rash I had the Zim's Advanced Crack Creme with Hydrocortisone to test out. The product is very easy to apply to the irritated area and blends into the skin very nicely without having to worry about it rubbing onto your clothes or furniture. It has a faint scent which is nice that it is not over powering. It really helps with the itching and the rashes. I am very impressed with how fast it starts to work which is really nice especially with kids. I am sure with summer this product will come in handy almost every day in my house. 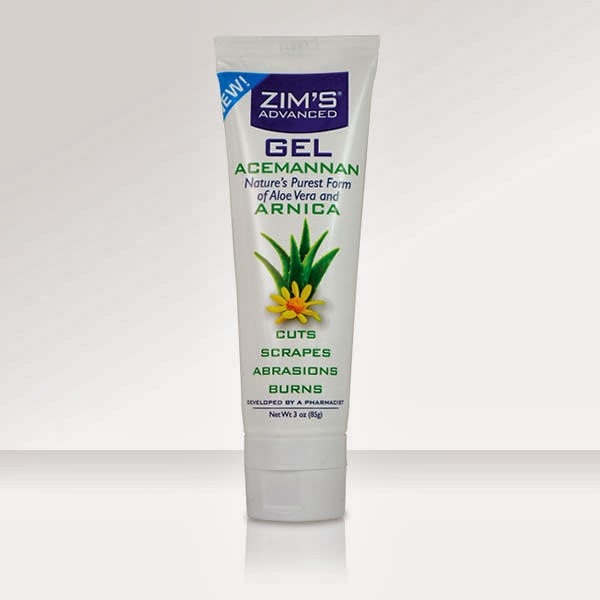 Zim's Advanced Gel Acemannan and Arnica ($9.99) is used as a protectant for minor cuts, scrapes, abrasions and burns. This product contains Acemannan, nature's purest form of Aloe Vera. I was most excited about testing out the Zim's Advanced Gel Acemannan and Arnica. Minor cuts, scrapes, abrasions and burns seem to be something that is always happening to someone in the house. This product rubs into the skin completely and offers a very faint scent. I really like how the clear gel blends into your skin unlike other gels that I have used for burns and cuts before. When I use this product it soothes the area immediately, and leaves your skin feeling non-greasy. I am sure this product will come in handy with all of the outside playing and sun burns. Zim's Arnica Max ($9.99) is specially formulated with Arnica for the temporary relief of minor aches and pains of muscles and joints associated with simple backaches, arthritis, strains, bruises and sprains. Recently I got a sprained ankle which is the first one I have ever had. Then with two kids that I have to take to school and pick up every day with a 3 month old my ankle can really start to hurt. 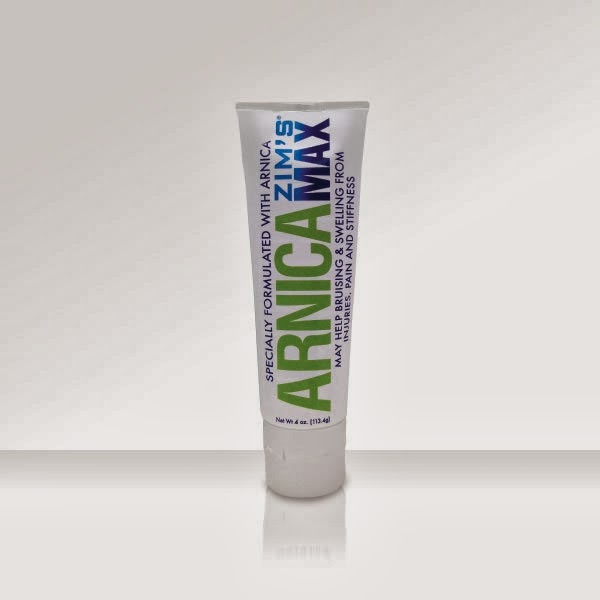 However the Zim's Arnica Max has been amazing and really helped with the moments that my ankle just has been overworked and sore once again. This product rubs into my skin very nice without having to worry about the inside of sock or pants leg getting any residue on it. This is really nice. I also like that within a few minutes I can feel relief and it lasts for some time without having to reapply within an hour or two. This product is really helping with the healing process of my sprained ankle and my hectic life with three kids. Winner will win the three items Crack Crème Organic Aloe and Arnica with Hydrocortisone, Gel Acemannan Nature’s Purest Form of Aloe Vera and Arnica and Arnica Zim’s Max. You can show some love by liking Zim's on Facebook and on Twitter. Where to purchase: You are able to make a purchase from the Zim's website. I would like to try the Arnica & Aloe Vera Lip Formula. I'd like to try the hydrocortisone spray - my daughter and I have sensitive skin, and my fiance and daughter are always getting mosquito bites all summer long! I would love to try the Butter Blends Body Cream. I want to try the crack stick, I could really use this. I would love to try their Gel Plus....my hands get super dry during winter. I want to try the crack stick lip moisturizer. I would love to try their Heels and Feet Foot Cream! These are the two places that I suffer from the most during these cold winters! I would love to try the Advanced Hydrocortisone Spray or the Max-Freeze Continuous Spray. They both sound wonderful. Thank you for the great giveaway..